Why Collect Gas Station Toy Trucks and What is Petroliana? 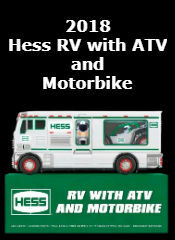 A fun website about Gas Station Toy Trucks with information, pictures, collectors guides and access to rare and hard to find trucks for sale. 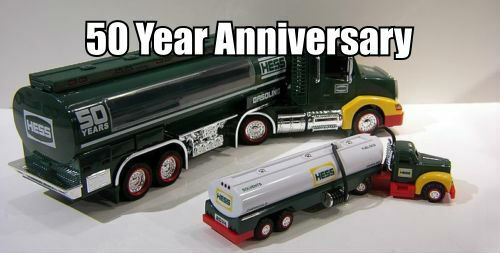 GasStationToyTrucks.com offers collectibles from BP, Exxon, Hess, Mobil, Shell, Amoco, Texaco and Wilco. Gas station toy truck collectors search high and low to find the perfect truck. Not just any truck, it has to be the idea toy truck with perfect tires, perfect paint, and most prominently, the perfect box. A perfect box is the "deal breaker" in the world of gas station toy truck collectors. Over half the value of each truck depends on the condition of the box it comes in. If the truck is in mint condition, it is considered Mint-in-Box or "MIB." Why do people collect gasoline station toy trucks? It's for a number of reasons. To many, it keeps wonderful childhood memories alive, children adore them, others admire the workmanship and details and love to look at them, and others realize their value and keep them for auction. Regardless of the reason, toy truck memorabilia collecting still continues today. 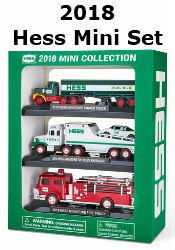 For example, collectors will pay a handsome sum, at least four figures, for an early Hess toy truck, particularly the 1964 Mack-B tanker truck, the 1966 Amerada-tanker boat, and the 1980 on site training-van. Even gas station toy trucks that are not in 100% mint condition are still valuable because they hold hard to find parts that can be used as replacement pieces for nearly mint Hess toy trucks. 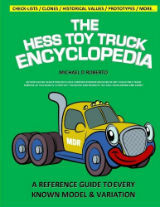 In addition to accumulating gas station toy trucks, collecting Petroliana in general, or old memorabilia linked to gas stations such as gas pump globes, road maps, fuel pumps, or anything to do with the petroleum industry, is a great part of the history of gas station toy truck collecting as well. Petroliana relates heavily to the golden-age of motoring in the 1950s and the attractions linked to it from that period. Moreover, there is a wide interest in extremely early collectibles from the beginning of the 20th century. Through the late 1940s until the 1960s, there were various oil companies eager for an attention-grabber to enhance sales. 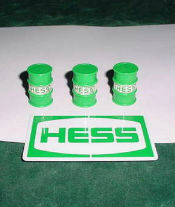 One effective method included offering a toy with the company logo at a cheap price to draw customers. Many consider Gulf to be the pioneer of promotional gas station toys after they produced a miniature gas station in the late 1940s. 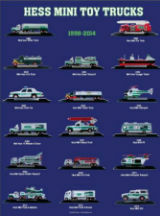 What's more, prices begin to soar for trucks older than 1979, many into the hundreds and thousands of dollars! For instance, in 1964, the first tanker truck originally cost $1.39; presently it sells for roughly $2,500! However, Texaco became the darling of gas station toy trucks. They began a yearly toy offering in 1959 to promote sales, and it is still done today. 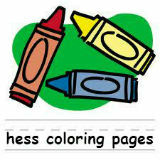 Other brands participated in toy promotions as well such as Amoco, Hess, Texaco, and Phillips 66. Numerous oil company advertisements have been utilized to obtain allegiance at the retail level, and gasoline station toy trucks remain tremendously popular. In addition to the toys used in gas station promotions, toy producers manufactured toys with gasoline brand names on them. These were never utilized as choice items; however, they have made their mark in gas station toy history. In 1984, Texaco offered a series of historical fuel tanker trucks. In addition, they began distributing an extended series of other toys such as toy planes, gliders, and pipeline helicopters. 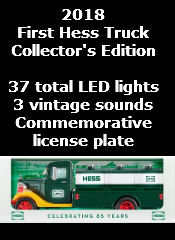 Today, you can find a 1968 rare Hess vintage toy truck at an online auction starting at over $400. A 1996 Exxon B-Mack gasoline tanker with working lights can be purchased for $55. There were only 25,000 made. A Wilco 1997 gasoline truck can be found on eBay, as most of the others, for around $23. Only 8000 were produced. 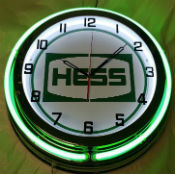 In fact, this model is a perfect copy of the Hess 1996, apart from the Wilco color and logos, it even has Hess tires. 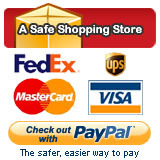 Online you will find many makes and models of gasoline toy trucks with prices ranging from as little as $4 up to $1000s. The American love affair with gas station toy trucks is by no means over. 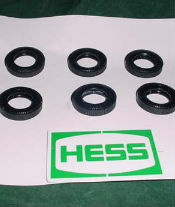 Just recently, American children and grown-ups alike panicked when they found out that a New Jersey headquartered Hess would be selling their entire lot of filling-stations, all 1,350 of them, throughout the Northeast. The dismay set in, but with good news to follow. 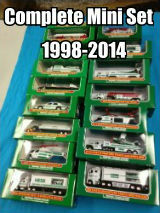 Gasoline toy trucks will once again be ready by Christmas. A tradition of 48 years is set to continue. Once again, part of the American toy truck culture is set to remain and people from around the world can continue to take part in the ethos of American petroliana.